Listed as a returned soldier on the Te Ngawai Memorial (on the old school site), erected in 1947. Arthur was born in Albury, South Canterbury, on 1 May 1895 to Jane Elizabeth Curtis. Arthur was raised by his grandparents Isaac and Jane Curtis, who farmed at Te Ngawai, Albury. After being schooled at Te Ngawai Arthur working in the region as a farm labourer. When he enlisted on 27 February 1917, Arthur was working as a farm labourer for his grandfather. He was described as being aged 21, Presbyterian, single, 5 foot 5 ¼ inches tall, weighing 138 lbs, having fair hair and brown eyes, of medium complexion and his chest measuring 34-36 inches. He nominated his mother Jane, who was living at home in Albury, as his next of kin. Jane (1878-1965) later married Leonard James Pratley (1876-1946), and both are buried in the Ashburton Cemetery. 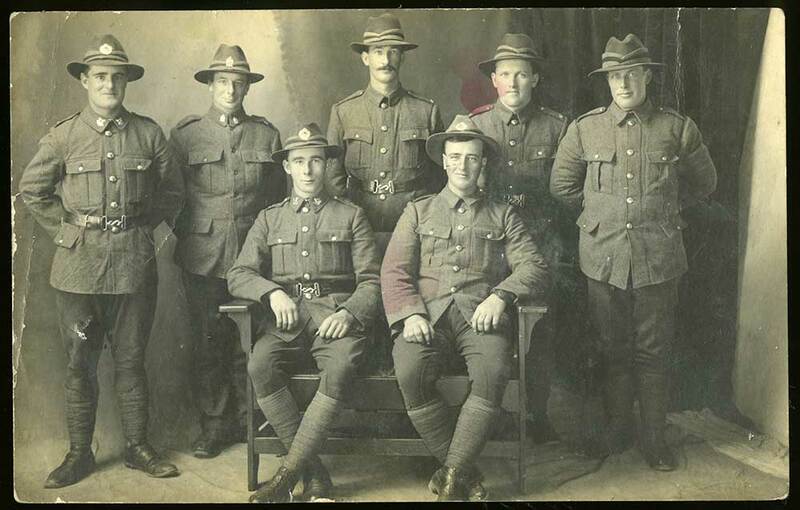 Posted as a Private to the Canterbury Infantry Regiment and having had some previous military experience with the 2nd South Canterbury Regiment, he was promoted to Lance Corporal on 12 May. He left with the 27th Reinforcements from Wellington on 12 June 1917 aboard SS Tahiti (HMNZT 87) bound for Devonport, England, and landed there on 16 August. Immediately on arrival he relinquished his rank of Lance Corporal and returned to being a Private. After further training at Sling Camp, he left for France on 6 October and on 25 October 1917, was posted as a re-enforcement to the 2nd Battalion Canterbury Regiment. This Battalion served with distinction in France and was involved in all the major battles and the march into Germany. Private Curtis was detached back to the UK on 21 February 1919, and boarded the SS Maunganui at Liverpool on 17 May for his return to NZ. By this time he had served a total of 2 years and 12 days overseas, and at the end of the war, was awarded the British War Medal and Victory Medal for his service. Arthur returned to work on the family farm at Albury but on 24 February 1920 a social evening was held for Isaac, Arthur, and Anne Curtis (grandchildren of Isaac) as Isaac had sold his farm and was travelling back to England for a year to see family and friends. Research by descendants reveal that later Arthur bought a farm at Broadfields, south oif Christchurch, in February 1926 which he sold in April 1927. At some point he left for Australia, resulting in his family losing contact with him. In 1927 he appears in a Queensland newspaper article looking for work at the South Johnstone sugar mill (south of Cairns) where he was involved in a fight with striking workers. They pushed him off a bridge and he fell 9 foot to the snad below. While he managed to crawl back up with his suitcase he was then beaten even though a policeman was present. From 1943 he appears at Kulara in the Leichardt area of the Atherton Tablelands, Queensland. Land here was marginal and cheap and Arthur had difficulty with roaving dingoes killing his stock. In 1977 he was recorded as living at Russell Pocket Road, Yungaburra, Atherton. Electoral rolls showed him living in the area until 1980, after which the farm was sold and Arthur moved into a nursing home. In the process of the research contact was made with a family who had befriended Arthur, They told how he joined them for Sunday roast, describing him as a lovely man who kept very much to himself. Arthur died on 16 June 1983, and is buried in the Atherton Cemetery. Arthur never married.